Just recently, I received this lovely comment from an “apraxia mom” on my Facebook page. Undeniably, our children teach us a multitude of things, but this one really resonated with me. As 2013 draws to a close, I thought it would be a good time to reflect on the ways in which our children with apraxia have made us better parents, while teaching us important lessons in the process. I’ve learned patience when it comes to working with my daughter on academic pursuits. Kids with CAS will likely need more time to process information and develop their own “take” on new subject material. As a brillant and inventive 3rd grader, I’ve learned we all have academic strengths, they just reveal themselves in unique ways. There is humor in all things, especially the tough times. Speaking of which, there is a time and place for apraxia “humor.” At 8 1/2 years, Kate understands that she struggled in the past with communication. We can now joke about some of the made-up phrases and silly sayings when she just couldn’t get the words right. “Big Hop-Hop” = Easter Bunny. “Ho-Ho” = Santa. “Dee-dee” = music. “I ’till waking up,” = don’t talk to me yet, I don’t have all of my faculties…and when we want to make one another feel better, we invade one another’s personal space, tilt our heads, smile and say, :”hi-hi-hi” over and over until a smile appears, just like Kate did as a toddler. It’s sure to make a grumpy kid burst into laughter. Don’t get me wrong, Childhood Apraxia of Speech (CAS) is a serious matter. While it may seem as if I am taking the subject lightly, I assure you that hasn’t always been the case. I’ve learned compassion for all families raising specially-challenged children. I’ve learned, too that kids with CAS are so capable! My eyes welled with happy tears as my daughter participated in the 2nd grade performance of her school’s “Reader’s Theater.” Give your kiddos choices. You may be surprised–and amazed–at what they can do! One mom even shared with me that her son excelled in a theatre camp, even after her reservations that he not participate. Share them with the world, let them fly, and you’ll sit back in wonder and awe. Now, share your moments of 2013…can’t wait to hear how your little one brightened your year. We’re taking a little trip to parochial school today. 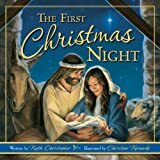 Since this is the season for celebrating our Christian heritage (along with other religious/cultural traditons), we’re going to travel to Bethlehem for THE FIRST CHRISTMAS NIGHT by Keith Christopher, a Nashville composer accompained by a lovely illustrator, Christine Kornacki. Written as a poem modeled after “‘Twas the Night before Christmas,” THE FIRST CHRISTMAS NIGHT (Ideals Children’s Books, 2013) is a delightfully fun twist on the traditional verse by Clement C. Moore. My kids were mesmerized, not just by the lyrics, but the rich oil paintings by Christine Kornacki reminiscent of Norman Rockwell and Maxwell Parrish. Kornacki balances her art with a light touch of realism and even used real models as the inspiration for the art in THE FIRST CHRISTMAS NIGHT. “The animals were nestled in warm, cozy place, with looks of contentment on each of their faces…and then, on the stable, a baby’s first cry! Peace on earth, good will–redemtion is nigh” is an example of award-winning composer/lyricist Christopher’s poetic renderding of the birth of Jesus. Reading books that rhyme can help develop phonological awareness in children, an especially if they suffer from apraxia (CAS), in which children have more difficulty mastering. However, phonological awareness is an important piece of verbal language and reading skills for all children. Share with your family at a designated reading time during the holidays. Talk about the back page of the book in which scripture has been taken from the books of Matthew and Luke. Share with children’s ministries and Sunday school teachers. It may make an excellent gift for a parochial-based preschool library, or teacher’s room. If you want your children to know the true meaning of Christmas, this book is for you! Did you catch that? Formally very quiet and lacking the right words to tell Santa what she wanted for Christmas, Kate gabbered about Rainbow Looms, American Girl Dolls, and the Titanic. She tacked on a last bit for good measure, “And make mom and dad say ‘yes’ a litte more often.” Kate was diagnosed with childhood apraxia of speech at 2 years 6 months, a bit on the “early” side for an apraxia diagnosis, but with a family history of speech disorders and delay, our SLP knew exactly what we were dealing with. Fast-forward 5 1/2 years and this little elf won’t let Santa say ho-ho-ho. If you have a child with apraxia, or another speech-language disorder in which it makes it a challenge to get the ol’ wish list out, try making a photo collage of the gift he’s hoping Santa will bring. This can be as simple as an old school catalog clipping-and-pasting, or as elaborate as an electronic wishlist. As a younger kiddo, Kate felt very intimiated by the chubby guy and the fact that she had to verbalize. Make it easier on your child–and yourself–by planning ahead a bit. You may be well over the Santa visit this late into the season, but worried about upcoming events. What to tell the in-laws, out-laws, and other relatives you’re sure to see? We were lucky–there was a strong family history (at least on my hubby’s side of the family) where speech issues were paramount. It was easy–and relieving–to talk with them about their experiences with speech therapy. But if your family is less versed in the challenges your child is facing, something specific can really help. “It’s like she’s tongue-tied all the time,” has worked well for us. You may also consider, “It’s like having an idea or a word on the tip-of-your-tongue for everything you want to say.” Or, finally, if someone has experienced a stroke in your extended family, you can try likening CAS to stroke recovery*. “You know how Uncle Bob tries to say things, and we have difficultly understanding? Well, it’s like that for little Joe, too. He has to work a lot harder to get his words out.” [*CAS and stroke are not the same, but the symptoms and recovery can be slightly similar]. Showing Gratitude. What happens when your child opens a gift from an extended family member and they can’t understand what she’s saying about it? Perhaps it would be a good idea to teach your child some simple ways to show gratitude. A quick hug or smile can work wonders. Remind your child to slow down as she talks to Papa, saying her words clearly and loudly. Playing and interacting with peers. No doubt you’ll come across a gaggle of happy, energetic kiddos during your family celebrations. Remind your child–and the other kids–that everyone develops at different rates and not all kids will be as talkative as the others….but they all like to play! Encourage group activities that don’t require a ton of conversation. Crafts, baking, even rough-housing, and playing in the snow can be enjoyed by all without the intricate use of verbal communication. 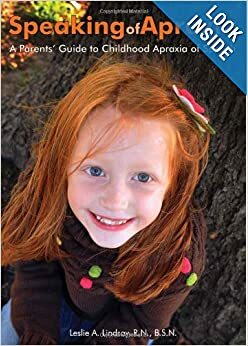 For more information on family coping, child coping, and educating others about CAS, please refer to SPEAKING OF APRAXIA (Woodbine House,2012), an award-finalist book on a complex motor-speech disorder. LL: Tell us about your book, Shoe Garden & Other Shoe Stories. 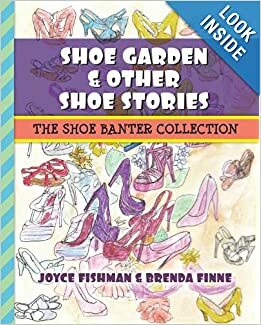 Brenda and Joyce: Shoe Garden & Other Shoe Stories is the first book in The Shoe Banter Collection. This children’s book contains four short stories, all about shoes and the places they can take us. LL: What inspired you to write this book? Brenda & Joyce: Originally, it was a present for our younger sister Ivy’s 50th birthday, as she loves shoes. Joyce came up with the idea, asked Brenda to write 50 stories and then she illustrated the stories. LL: Did any special research go into your stories? Brenda & Joyce: Our “research” is about being aware of shoes in our life and other’s; a) why we choose certain shoes based on purpose, activities, b) notice how they make us feel. We’ve collected unique books about shoes: history, construction, and unique designs. Combining our curiosity about shoes with our observation of shoes and people is what inspired us to develop Shoe Banter. LL: What led you to choose the theme of ‘shoes’ for your collection? Brenda & Joyce: We chose shoes, as every shoe has a personality and it can help a person express their attitude in life. This includes their confidence, zaniness, athleticism, insecurities, creativity, happiness and even their age. LL: What do you hope readers will walk away with? Brenda & Joyce: We hope that it sparks their imagination and that they feel pure enjoyment from what we created. Additionally, we hope they can use the stories as a lens for how they look at themselves and their lives. LL: How can we tap into the love of shoes with our kids? It’s easy to get comfortable in our own little worlds, but learning to connect with others is a vital component to our humanity. Learning how to relate to others helps us understand ourselves better. We break it down into 3 subjects: Empathy, Life Decisions, and Life Cycles. Below are lessons & discussions based on these subjects. 1) EMPATHY: Antidote: As the 12-year-old girl watched her mom put on her baby sister’s shoes, she said, “It’s easy to relate to a young child because I was once young, but it’s hard to relate to an older person because I have never been old”. She was thinking of her grandfather who walked very slowly to the grocery store. His shoes were big and clumpy. Empathy is a valuable lesson for children to learn, yet, the most difficult to grasp. 2) LIFE DECISIONS: Antidote: Brenda was 8 year’s old when her dance instructor said she needed to start taking ballet classes with toe shoes. Though she was very little for her age and toe shoes would make her taller, she felt that she was not meant to be a ballet dancer. But, as a child you tend to “do what your told, or else”. Taking her first class she lasted 5 minutes and started to walk out, but not until she turned to the teacher and exclaimed, “life is too short for this much pain”,and stormed out. Brenda was worried she’d get in trouble, but it turned out her instructor respected how she felt and never pressured her to take ballet classes with toe shoes again. Life decision’s for children can revolve around shoes and what they can or cannot do in them. 3) LIFE CYCLES: Our shoes take us from our very first steps as we steady ourselves for our life journey. Each path requires a different type of shoe depending on what is required of us or what decisions we choose. The path in shoes; Baby shoes, Party shoes, Sports shoes, School shoes, Boots, High Heels, and Orthopedic shoes. LL: How can we encourage children to see shoes in a different perspective? Create a collage from pictures in magazines. Add a person who might wear each shoe; How does the shoe make them feel? Take an old shoe; glue, stitch with odd items –inventing a new shoe. What type of person would wear your shoe design? Write a story about it. Give a picture of the same shoe to 2 different children. Have them each write a story about the person who would wear it. Show how different they view the same shoe. In the morning when you get dressed, the last thing you put on are your shoes. How do you choose; color, patterns, heel size? Will you be sitting all day, walking, or running? Does your choice of shoes effect your feelings or confidence? Walk on different type of surfaces, blindfolded, with shoes and without shoes, and feel the difference. Can you share a bit about the creative process and how you both work together to create stories? LL: Where can we find the book? The first book in The Shoe Banter collection, Shoe Garden and other Shoe Stories, is available on Amazon both in eBook and paperback format. Additional books in the collection will be released in the future. LL: Oh, but wait!! You can also find the book right here. That’s right…I am offering a FREE copy of SHOE BANTER by Joyce Fishman and Brenda Finne to one lucky reader. Here’s what you’ve got to do: (Pick one): 1) Share via email, blog, Facebook, Twitter, Pinterest and email me leslie_lindsay(at)hotmail.com so I know you shared. OR 2) Leave a comment on the blog. Mention your favorite pair of shoes (current, or an old-school pair you may have had as a kid). That’s it! * Good luck! The fine print: Open to US residents only. Winner selected at random on Friday, December 13th at 5pm CST. Winner will be contacted via email, so be sure to check your junk/spam folder for something from me. Respond promptly with your mailing address. Book will me mailed media rate around December 16th. If you’re a grandparent searching for gift ideas for your grandkid(s) who have apraxia (CAS), or some other speech-language disorder, then you’ve come to the right place! Offer respite care. For example, offer to host a grandkid sleepover, or an outing to the movies, park, or library. Those few hours mom and/or dad have alone could be very well spent as well as giving grandparents and grandkids time to bond just the two of them. Inquire if driving duty to and from speech therapy can be shared. Of course, both parties need to be in the same general area, and grandparents need to feel comfortable on the road. Volunteer to work at your grandchild’s school. Some elementary schools offer grandparent programs like a read-to-the-kids afternoon, lunch with grandparents, or math buddies. Ask if your grandkids’ school offers a similar type or program, or just look at being a regular volunteer, say in the library, office, or lunch room. Offer to practice reading or sight words with your budding reader. Make a date of it by setting a day and time each week. Follow up with ice cream or bake cookies together. Purchase a digital camera or video recorder for the family. Assist in paying for private education or tuition-based preschool. Send your checks directly to the school so parents don’t have the added hassle of allocating funds. Help pay for the cost of testing that may not be covered by EI or the school. These private testing/evaluation facilities can get pricey, even with insurance! Pay for office co-pays that parents are resposible for at clinic visits. Depending on insurance coverage, this can range from $10-30+ per speech visit. The average child with CAS will likely receive 1:1 speech therapy 1-3 times a week. That’s $40-$270 a month! Make a charitable dontationto an organization that supports CAS, like Apraxia-KIDS/CASANA, CHERAB, or ASHA. Pay the tuition for a parent(s) to attend a speech-language conference to learn more about CAS. Assist in covering the costs of therapeutic products, educational toys, equipment, or pricey technology, like iPads. Give a gift card for apps, iTunes, Kindle products. Support an Amazon Prime account (around $89/year). Given all that, remember kids with CAS have many other strengths and talents, and still like to be regarded as “any other kid.” Please try to treat each grandchild as an individual. The gift of time is often the most remembered and well-received. It’s that time of the year again! Days get shorter, excitement increases, and the folks who have made a difference in our lives receive acknowledgement. 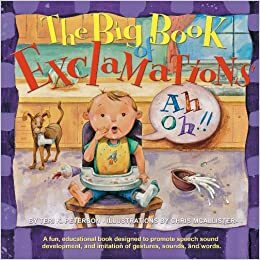 If you’re scratching your head this holiday season for creative speech-language gifts to give the special people in your life–and your child–have no fear. While this list isn’t conclusive by any means, it just may spark an idea or two. which has been a favorite among speech-paths across the world (including Australia and even Brazil; no it’s not translated to Portugeuse). One mom even wrote saying her child’s classroom teacher bought the book to increase her classroom knowlege. Linda Reinhardt, CCC-SLP has a new one, TALKING IS HARD FOR ME (2013) which works for parents, SLPs, and kids. 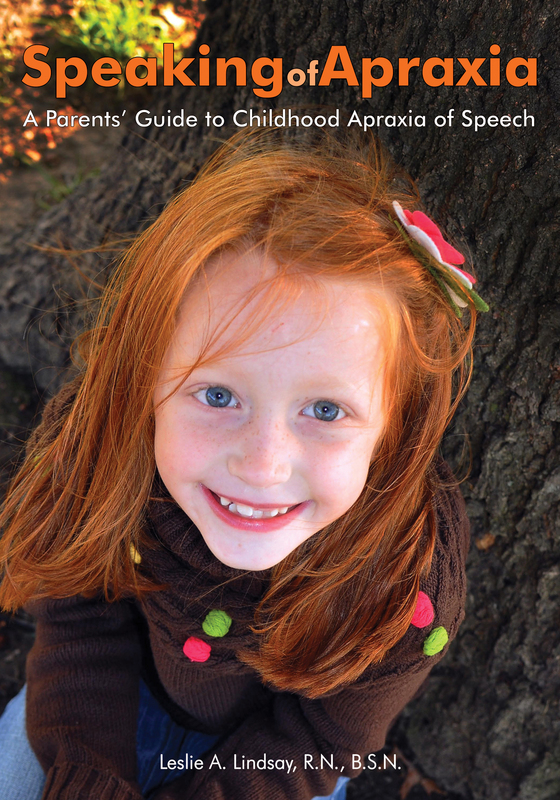 How about Dee Fish, CCC-SLP’s HERE’S HOW TO TREAT APRAXIA (Plural, 2011)? It’s more tech-y, but perfect for the practicing–and motivated–SLP. (both books available thru Amazon). iTunes Gift Card. Professionals who work with an iPad are very grateful for these gifts to purchase speech-language apps they can use in the clinic setting for many. Donate a bundle of toys to your speech clinic. These could be used (things your children may have outgrown, but are still in good working order), or you could purchase new. Perhaps asking your clinic what’s on their therapeutic wish list would provide some direction. The same could be said with donating waiting room toys, books, magazine subscriptions. You sit in there all the time–what could your clinic benefit from? Continuing with the subscription theme, is there a professional journal your SLP/PT/OT would like to receive? These tend to be on the pricey side, but so worth it. Perhaps a group gift for the entire clinic would be good. Also, I love ADDitude magazine. Not a professional journal, per se but still a great read and less expensive. It can benefit all families, not just those raising children with AD/HD. When considering toys for your children, look for those that are multisensory (tactile, colorful, etc) and also open-ended (there is no ‘right’ or ‘wrong’ way to play). Other things to consider: where you’ll store the toy, how much space it takes up, what age group it appeals to/how long your child will enjoy the toy, safey, indoor/outdoor use, as well as educational value. Another big concern (at least for me): how loud is it (can you turn the volume down or off? ), how easy is it to clean? Books. I’ve found the world of books really opens the minds of all kids, but especially those with CAS. Reading increases intimacy between child and caregiver, plus it’s super for receptive language. You can start with expressive language, too by engaging in dialogic reading. “Oh, I see the little boy is climbing a tree…why do you think he’s doing that?” Kids with CAS also struggle with rhyming techniques. Add a few that touche on that. Younger kids get a kick out of Dr. Seuss and Sandra Boynton books. Older kiddos may appreciate the silliness of Shel Silverstein. Photo books. One year, back before all of these cool digital photo books came along, I made a photo flip book of our daughter engaging in fun, family activities throughout an entire year–and alphabt–and gifted them to grandparents. A is for apple…a photo of Kate at the apple orchard. B is for ball…which interestingly was one of her first words. When we started in speech therapy, made another book in which I created several questions for discussion to go along with photos. “Who is going down the slide? Where are we? What color is that ball?” Here’s a great example: http://www.modernparentsmessykids.com/2012/01/personalized-alphabet-book-2.html. Consider Shutterfly for making your digital photo book, as well as Walgreens. Active toys. Scooters, tunnels and tubes, belly work scooters, giant exercise balls. Why? Activity stimulates the vestibular system and often encourages speech. It also keeps kids healthy and physical. Love the huggle pod from Hearth Song, too. Other “big” toys this season seem to be Slackers tight-rope-like straps for balance challenges, backyard zipline kits, and more. Great toy brands to consider: Discovery toys http://www.discoverytoys.net/, PLAN Toys http://usa.plantoys.com/, and Melissa & Doug http://www.melissaanddoug.com. Durable, open-ended, and provides hours of creative play.